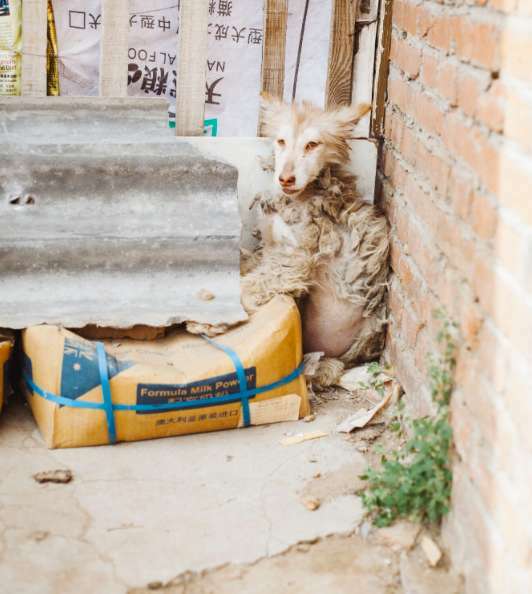 The issue with animals in China is not solely related to strays wandering the streets, but also the slaughterhouses where dogs are killed for the meat industry. Whenever activists and volunteers manage to save these dogs from being killed, they are usually placed in a refuge. This is not an ideal place for an animal to reside, but, way better than a slaughterhouse where the dogs are certain to be killed. 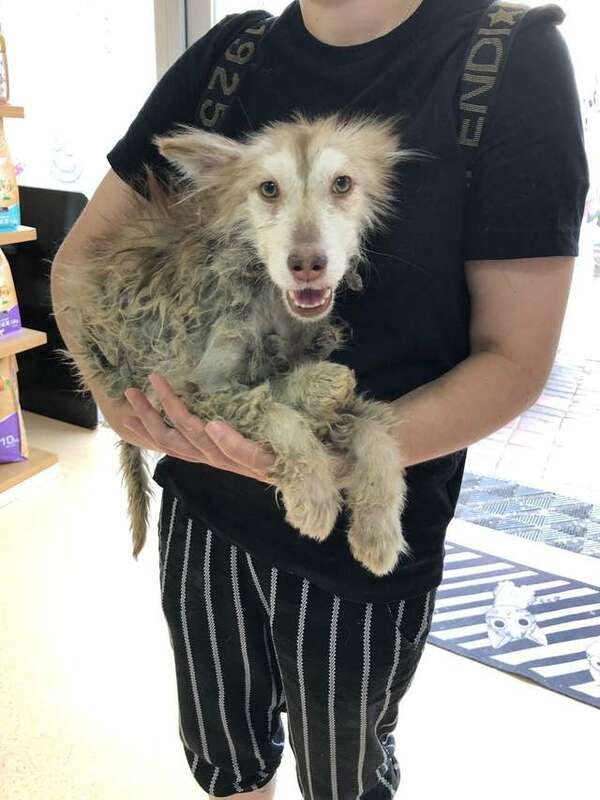 The woman from Harbin, China owns a dog refuge and she occasionally informs volunteers about dogs in desperate need of help and medical assistance. This was the case with the small, sick husky named Harriet who was found huddling against a wall. This dog is only one of the 2000 other dogs saved from the ‘meat factories’. 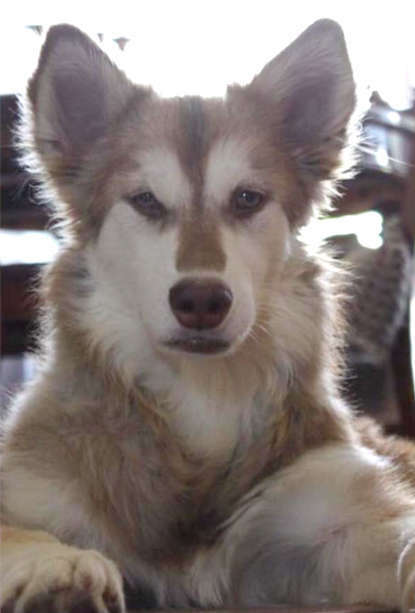 When the rescuers from Harbin Slaughterhouse Survivors Animal Rescue (Harbin SHS) noticed the husky, they decided to give her a second chance to life. Harriet was very thin and her skin wasn’t looking healthy at all. 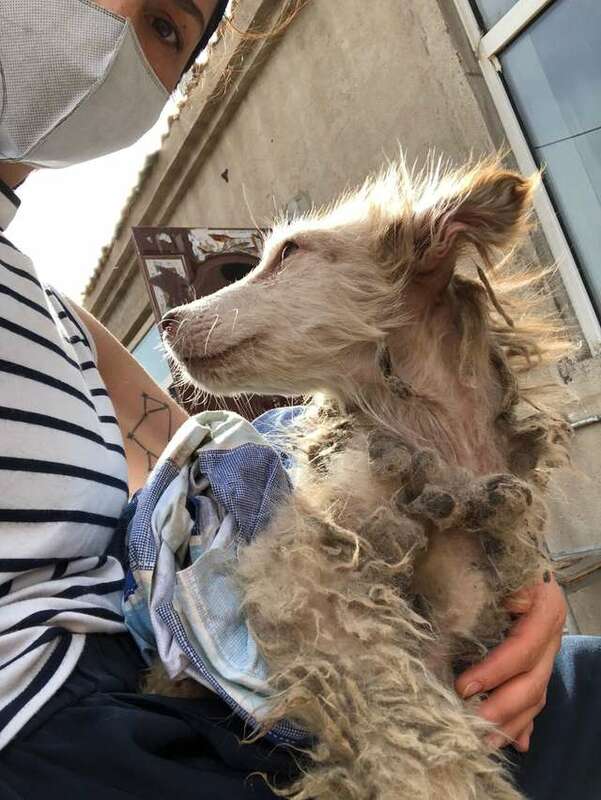 She was so frail that the rescuers thought she was a puppy. These teachers who happen to be animals rescuers in their spare time, Hayley Hayes-Fitzgerald, Aimee Clarke and Emily Parker, help dogs like the tiny husky to start living a healthy and happy lives. 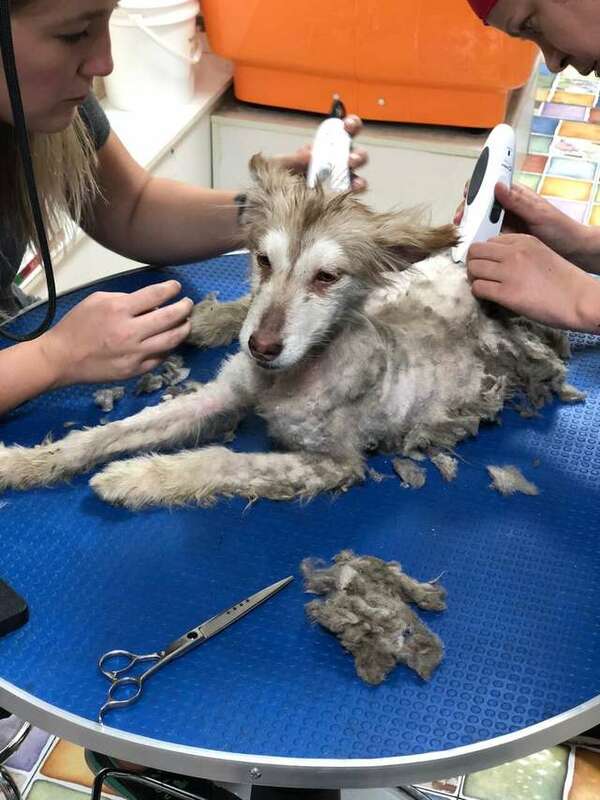 “We started rescuing animals together in the summer of 2016 in our free time, after seeing the vast amount of animals needing help in Harbin, and China as a whole,” the trio wrote on their website. In a few short years, they’ve rescued over 600 dogs. When they took her to the vet’s office, they learned Harriet wasn’t a puppy but an 8-month-old dog who was malnourished. 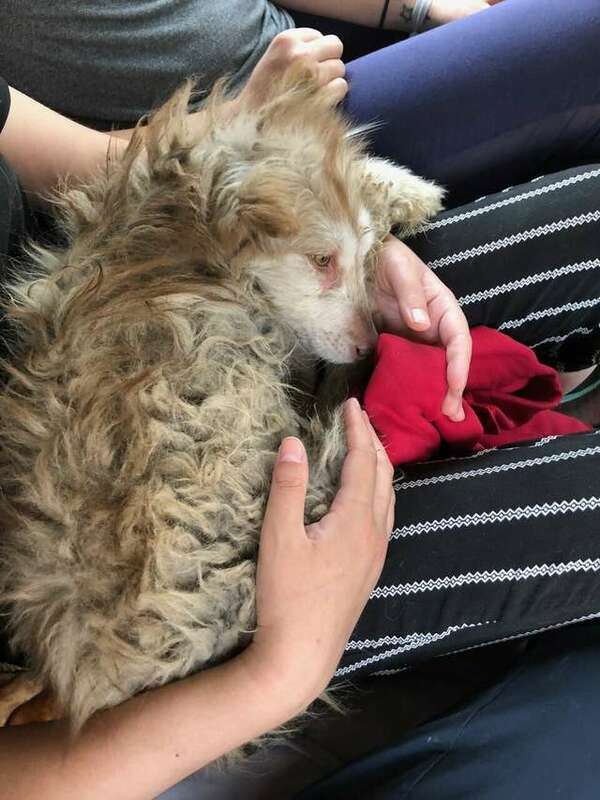 Now, when she was in the hands of her rescuers, she was about to be given all the devotion, hugs, and cuddles she deserved. Luckily, except from being underfed, Harriet’s health was in a good condition. 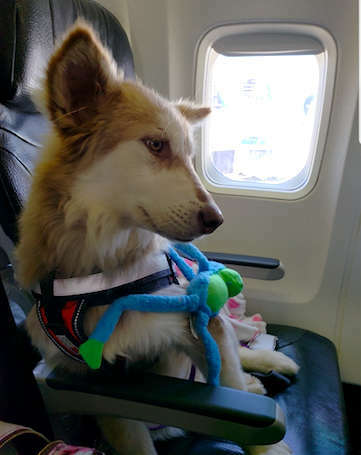 It seemed like luck was on Harriet’s side because a woman from Canada came across the story and the picture of the dog and she knew she had to adopt her. Rosee Vallee ended up meeting Harriet in San Francisco, after a volunteer from Harbin SHS flew over to North America with her. 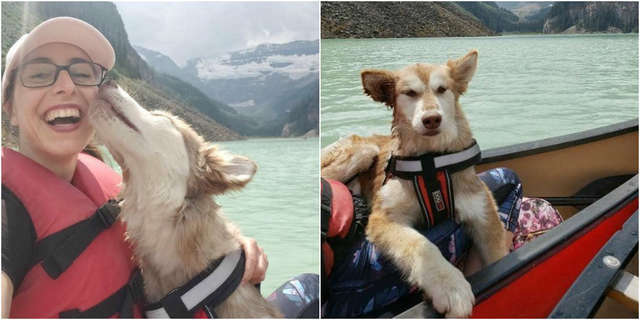 Now, the doggie ‘princess’ as her owner likes to call her enjoys a luxurious life of road trips, going to the Lake Louise and taking canoe rides. She is one happy dog who loves spending time with her siblings, one of which is a rescued dog from the same organization as Harriet. If you are interested in saving a life and adopt a rescued dog you can learn more about SHS’s work on their Facebook page and website.